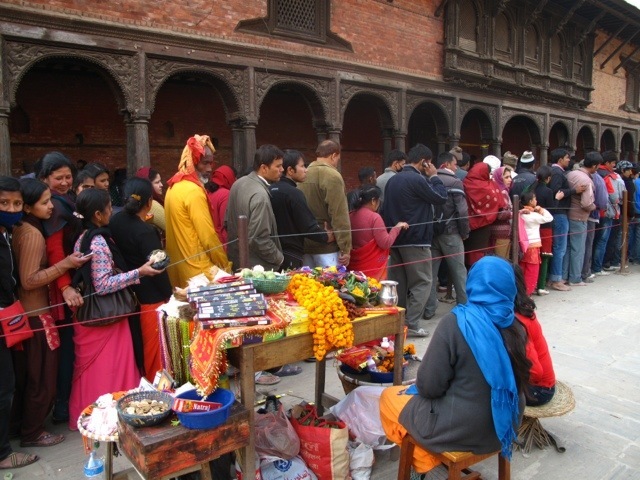 Hinduism is filled with festivals, but few top Shivaratri in Kathmandu for absolute craziness. The day is typified by a few things, namely the naked sadhus or Hindu holy men, and the legalization of ganja across the entire country for the day. 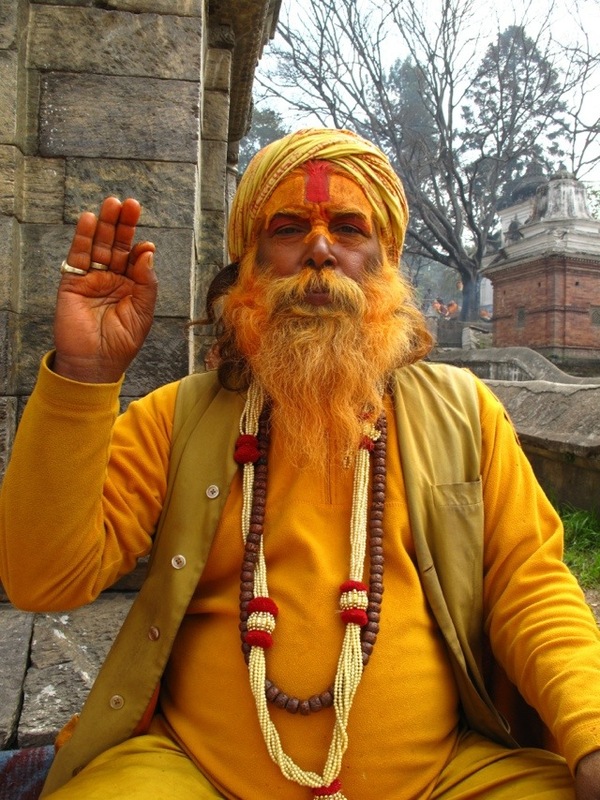 Shiva himself was believed to have been from the Himalaya and the first smoker of ganja, so this day is a religious and uniquely Nepali version of 4/20. In the days leading up, the Nepali newspapers certainly hyped it as such and explained that the area would be impenetrable on this years Shivaratri, and especially for foreigners. Of course, we ignored this and decided to make our way there after breakfast. Walking the local way from the Buddhist area of Bodhnath with our friend Diku, the niece of our homestay family and a kind and fun loving girl, we arrived in the Hindu heart of Kathmandu, Pashupati, in the early afternoon. Many Hindus from India and across Nepal in celebration of the festival converge upon the Pashupati temple area on Shivaratri every year, and this year was no exception. It was a complete mob scene. In line were thousands of people; bodies pressing forward like squeezing toothpaste. Somehow we followed the crowds the right way and didn’t have to pay the exorbitant price that the newspapers said both Nepai and kuire (tourists) would need to pay. Climbing up some stairs and following a dirt path with hundreds of people, we finally dropped down into the temple complex. Sadhus rolled up ganja spliffs while laying on tranquil stone mini-Shiva temples, surrounded by complete chaos. As we pushed forward, we got to an intersection that was a complete bottle neck with a mosh pit in full effect. Blue camouflaged Kathmandu APF (Armed Police Force) were ready to bash skulls, or so their faces and body language implied. Coming to a four way intersection, our Danish friend Sabine, who is a full time volunteer teacher at the Sagarmatha school, was seemingly whisked away with Diku in the crowd. We couldn’t see but we heard later that she was inappropriately groped by stoned fiendish Indian men. Diving into the madness, I lowered my head and pushed forwards. After some serious struggling, we all found each other, and walked to a calmer place where we could see puja or prayer in the sacred Bagmati river, a tributary of the Ganges. Finally, I was able to catch a minute to take everything in. Cremations, sadhus, offerings of marigolds and coins were being made all around. The smell of ghee lamps and ganja filled the air. Devotees bathed in the Bagmati and bajan holy music blared on loudspeakers. For sure, this is one of Nepal’s most interesting and intense religious festivals. After making and offering and getting a vermillion tikka dot, it was time to make the long walk back, along with thousands of others. At night the hillsides of the Kathmandu valley glowed with fires lighted in the yards of homes. Tired from a hectic but fun filled day, we were all dragging at the dinner table. Delicious Sherpa stew made lovingly by our homestay mom Hiumaya was nourishing, and the exhaustion sunk in quickly afterwards. I squeezed in a few pages of A River Runs Through It and closed my eyes, mind jumping from the aftershock of the massive amounts of people and pujas to fly fishing in Montana. great post paulie. keep em up, sounds like an amazing experience!